Jill McDonald's first collection for Windham Fabrics, Mother Goose Tales, is an adorable children's collection. 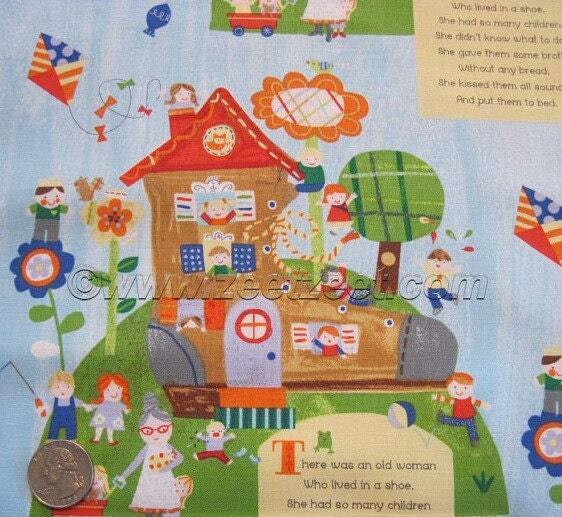 The Old Woman in the Shoe will be sure to help you find inspiration for a fun kid-centered project in this collection. All fabric from The Quilted Nursery Fabric Store is cut directly from the bold and is sold by the yard. If you require special yardage please send us a message and we will be happy to accommodate your request. Same day shipping always! Fast shipping and fabric was sweetly packaged with a handwritten note, which is always a nice touch. Have bought from this seller a few times & will be back again!